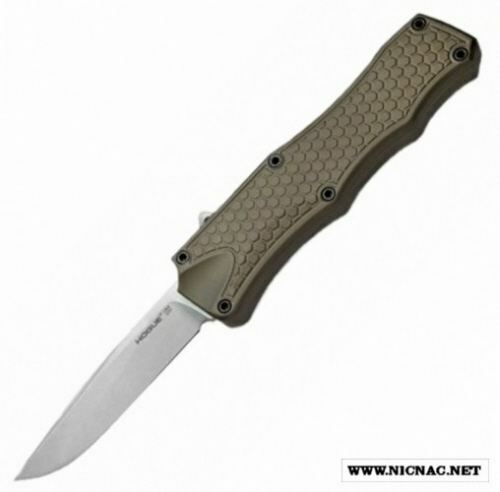 Hogue Knives 34013 OTF automatic knife with a Flat Dark Earth handle and a Stonewash blade. This Hogue OTF knife is overall open length 8.50 inches with a 3.375 inch clip point flat grind blade. This Hogue Knife has an aluminum 5.125 inch handle and has a thumb slide. It is a double action out the front knife for a right or left hand user with a tip down pocket clip and is MADE IN THE USA! It is an Allen Elishewitz design.